While reports on the impact of blockchain seem to focus mostly on cryptocurrencies, the technology is affecting industries across the board, with gambling being the one that benefits the most from secure ledgers. The application of blockchain technology benefits both the players and the providers, and ensures the results of their bets are generated fairly and securely. Blockchain technology managed to go from a relatively obscure and abstract concept to one of the founding principles tech companies are based on. The technology has managed to creep into almost every industry, ensuring that its presence in the coming years. And while industries such as aviation and insurance have been at the forefront of blockchain adoption, the technology is expected to make the biggest impact on gambling. After all, casinos have been exchanging cash for tokens in the form of chips long before cryptocurrencies or blockchain appeared. In 2018, the online gambling industry is expected to surpass $50 billion, as cited on Inc.com. A study by SuperData Research found that mobile gambling was up 75% year-over-year and that it now accounts for over 25% of all online gambling. However, the sheer number of websites offering online gambling makes it harder for a gambler to verify the reliability of a site. 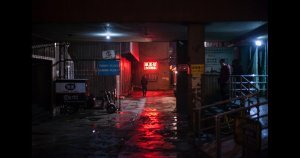 The mark of a reliable gambling site tends to be a byproduct of their reputation, and most players gravitate towards those sites not because of third-party validation, but rather the reviews they receive. By integrating blockchain technology, all parties benefit from the permanent record of a verifiable, unchangeable transaction ledger. This means that players are provided an assurance of where their money is going and that their results were generated fairly. With an online gambling blockchain in place, there is no obfuscation of the rules, which are clearly legible to all parties, and an instant payout is guaranteed. There are no concerns about a site withholding winnings because there is no site governing the game. The player’s funds go directly into a smart contract without the need for a middleman. According to a recently released report from Dapp.com, the majority of dApps being deployed on Ethereum are related to the gaming and betting industries. During the third quarter of 2018, 244 dApps were released on Ethereum, with 110 of them related to the betting industry. And while only 15 percent of Ethereum’s users are actively using betting dApps, they accounted for just over 20 percent of the total transactions on the network during Q3. Betting dApps also made up 18 percent of ether’s total volume distribution on the network, the report from Dapps.com showed. Dice2win, a blockchain-based dice game, scored third on the list of Ethereum dApps with the most transactions, while Fomo3D, a controversial exit-scam game, attracted the most users. The increase in demand for trustless betting is best reflected in EOS, a blockchain platform similar to Ethereum. While significantly younger, EOS is often described as the Las Vegas of the blockchain, as over half of the 60 dApps launched in Q3 are betting platforms. According to Dapp.com, 123 DApps went live from Aug. 10th to Oct. 30th, totaling 220 million EOS, equivalent to $1.2 billion. The EOS betting game player makes up 93 percent of the 6.2 million transactions on the platform, nearly the same as the number of transactions on Ethereum dApps recorded in Q3. The popularity of the platform can be attributed to its BFT-DPoS protocol, which enables a high TPS (transactions per second) rate while maintaining costless transactions. Such a model provides a fantastic user experience, basically removing all of the setbacks associated with traditional blockchains. The stability of the platform also translates into real-world usage, with EOSBet, the most popular EOS dApp, becoming the first open-source casino to acquire an Online Gambling License from Curacao, which in itself is one of the world’s oldest online gambling regulators. However, EOS does come with its own setbacks, as the scale of users is highly limited by its complicated wallet setup. Users also have a hard time grasping the platform’s RAM and CPU protocols, as most platforms charge users gas fees. 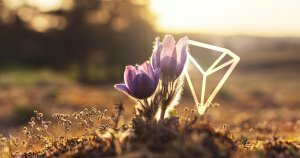 Aiming to address the issue of complicated account setups and buy-ins is Tron (TRX), with initial statistics showing that the use of its dApps has the potential to outpace both Ethereum and EOS projects. Despite being just a few months old, the platform managed to attract a strong user base by not requiring a special asset to pay for the computation. A great indicator of the platform’s popularity among gamblers is the fact that Tronbet, its most popular betting dApp, has reached an unprecedented milestone—a whopping 3.1 billion TRX has been won by players since October 2018. Despite Tronbet being the first betting app launched on the network, it has been responsible for the boost of traffic the platform’s native token has seen, which resulted in TRX’s price exceeding that of the much larger ETH platform. While it’s still unclear whether demand drives the development of certain types of games—or vice versa, it seems that dice games are leading the way when it comes to blockchain gambling. Another one of Tron’s high performers is Trondice, a simple dice betting game that’s exceeded 200 million TRX in winnings back in November 2018. While all data points to incredible year-on-year gains for most betting dApps, mainstream adoption in the gambling industry is still a long way off. Some important achievements have been recorded within the currently limited adoption paradigm, with the most important being user trust, enhanced transparency, and relative ease of use. But, blockchain itself is a double-edged sword, with many of its main benefits also being its major flaws. This is especially visible when it comes to KYC and AML verification, as many betting dApps don’t require users to share any identifying information. The notion of complete privacy attracts a certain niche that enables such businesses to stay profitable, but it also enables a plethora of illicit activity due to the absence of regulatory oversight. From a platform point of view, the adoption of blockchain technology in the gambling industry leads to the development of native platform tokens that can be used to pay for services within the dApp. However, the current bearish market gives little incentive for players to jump into owning one of the hundreds of altcoins meant for such platforms, making it harder for companies to attract less crypto-savvy customers. It is still early to judge the magnitude of the impact blockchain technology will have on gambling, but the potential remains obvious. The raw innovation that is happening in the gambling space may mark what could happen to other sectors in blockchain in the near future.